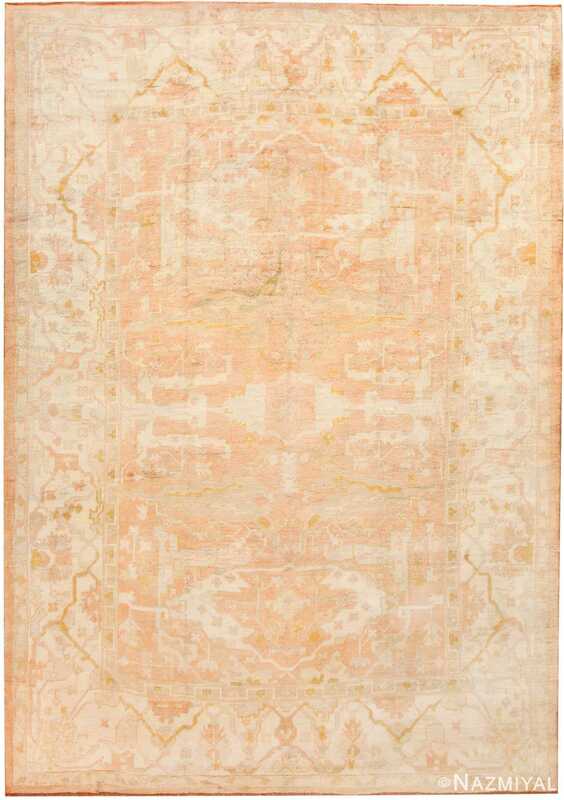 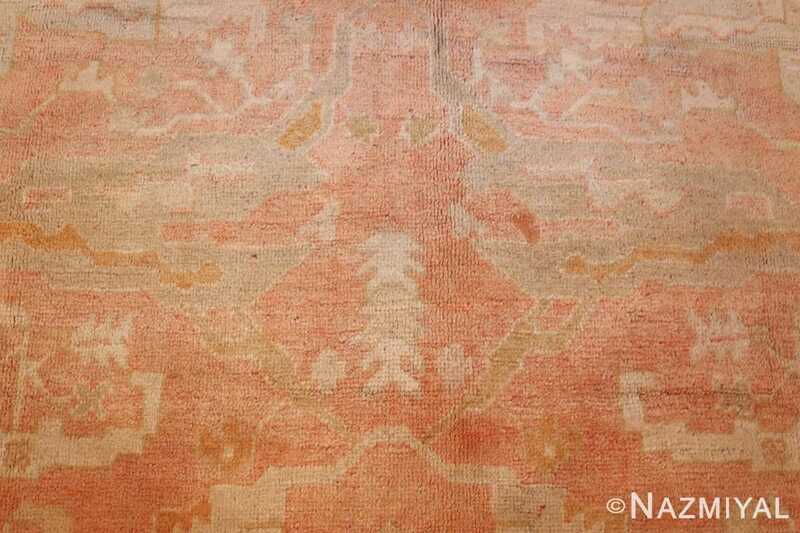 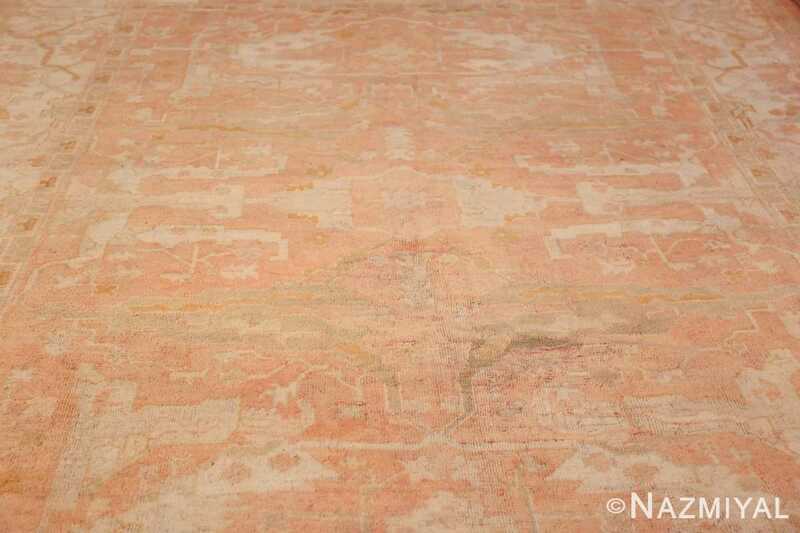 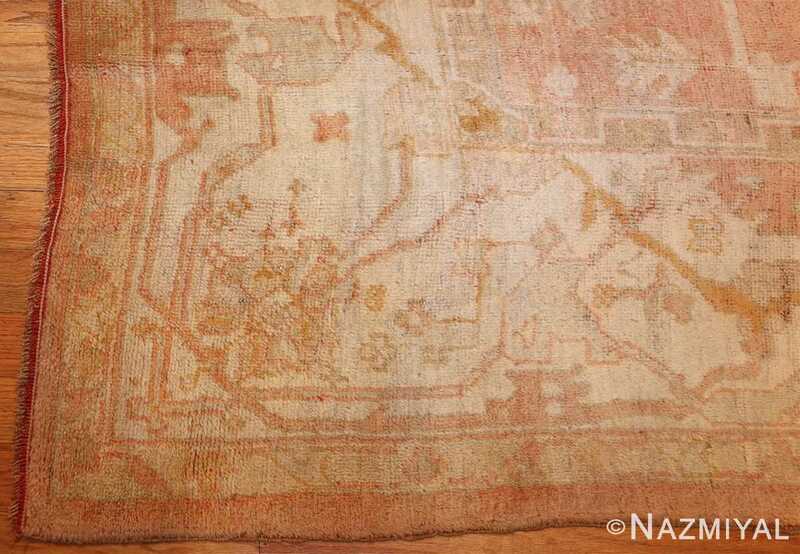 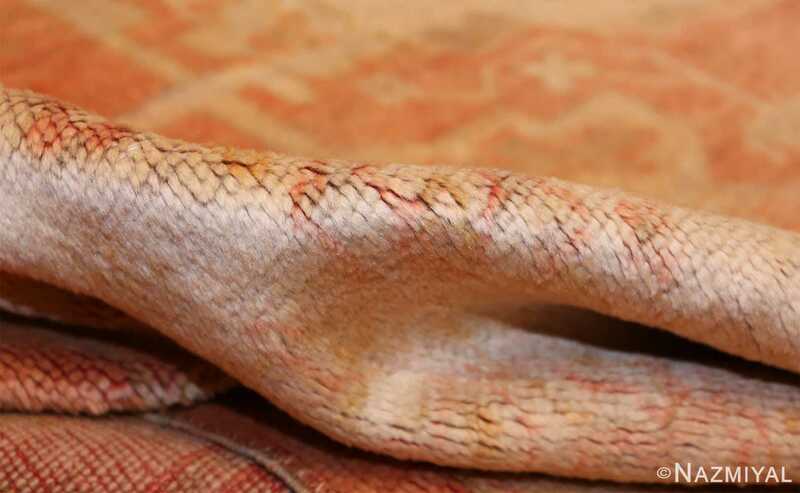 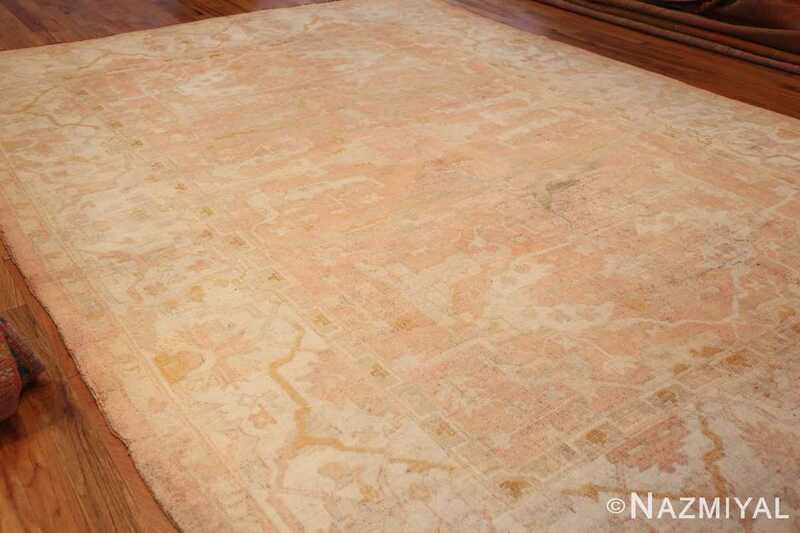 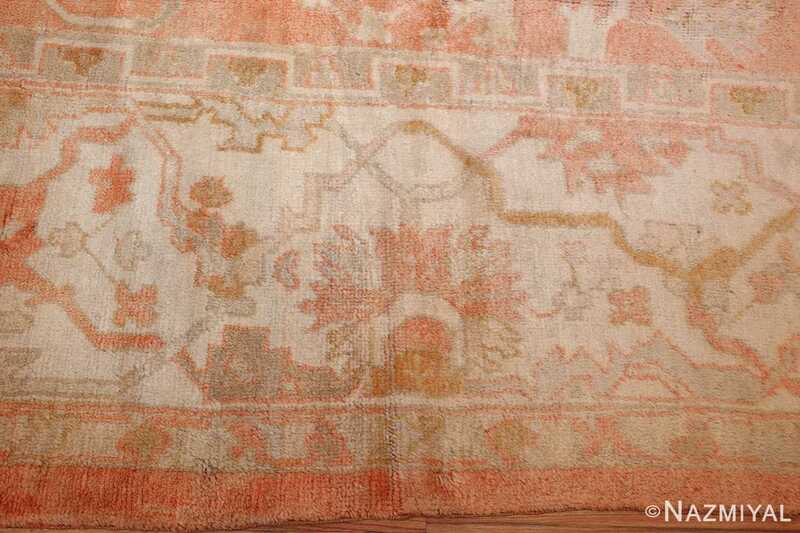 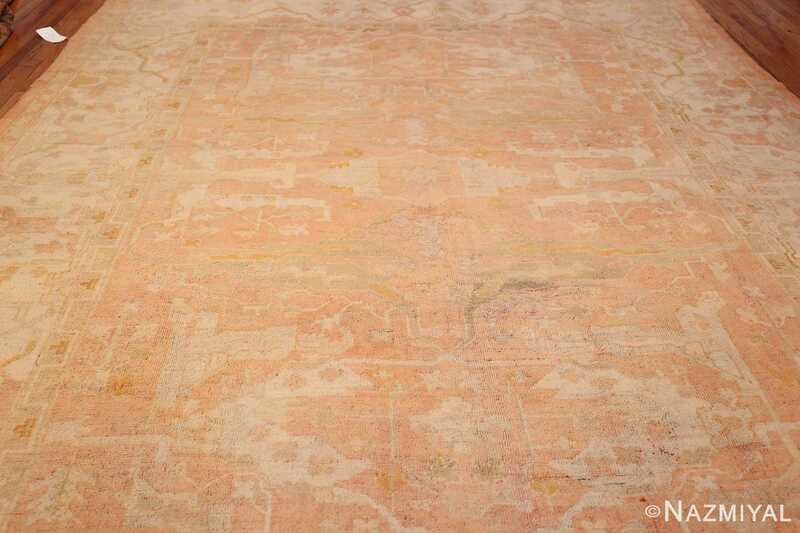 Antique Ivory Turkish Oushak Rug, Country of Origin: Turkey, Circa Date: 1920– This antique Turkish rug is faded with age, left with lingering hues almost lifted from a summer sunset. 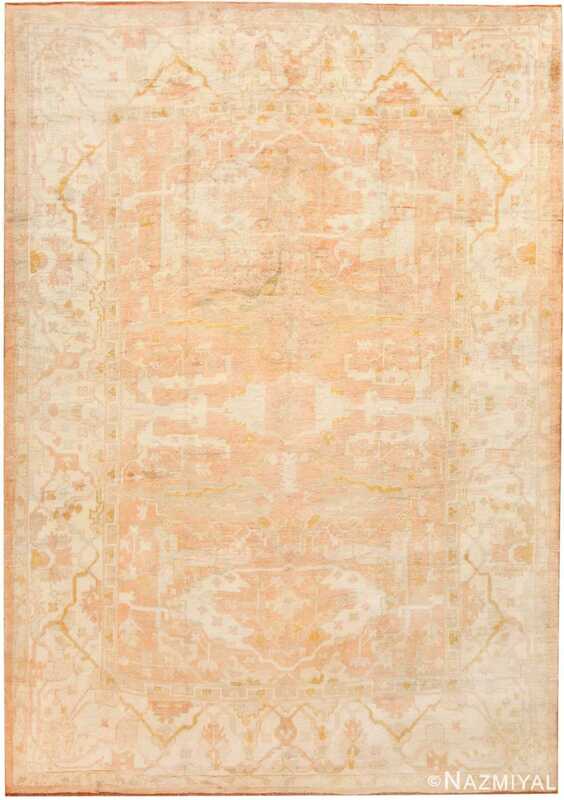 The pattern remains, a poignant echo with the palest greens accenting sunny oranges and cloudy whites. 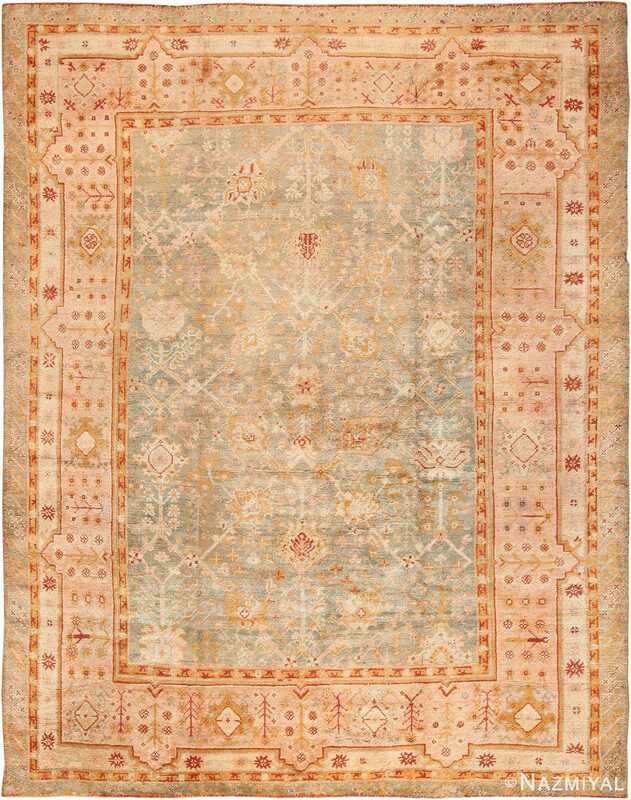 Angular shapes spill and entwine with perfect regularity across the darker central field, jutting with jagged leaves and small, perfect flowers on this antique rug. 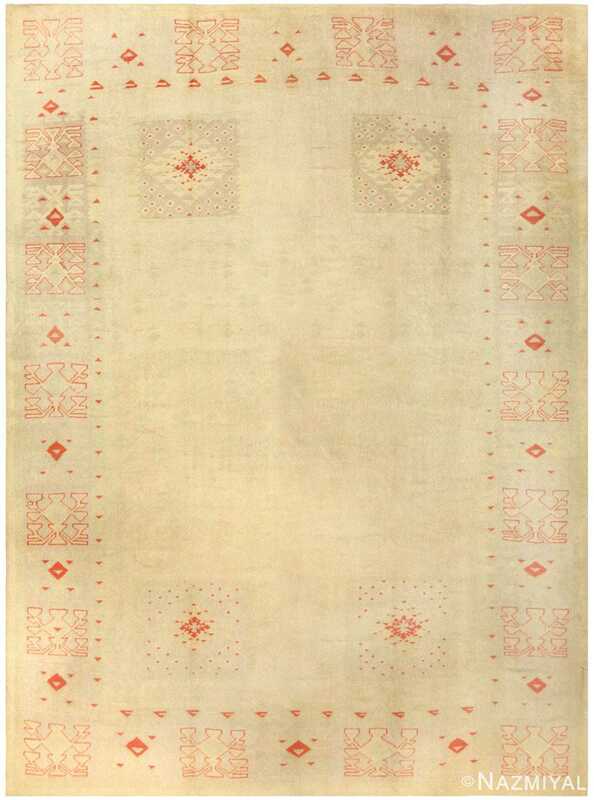 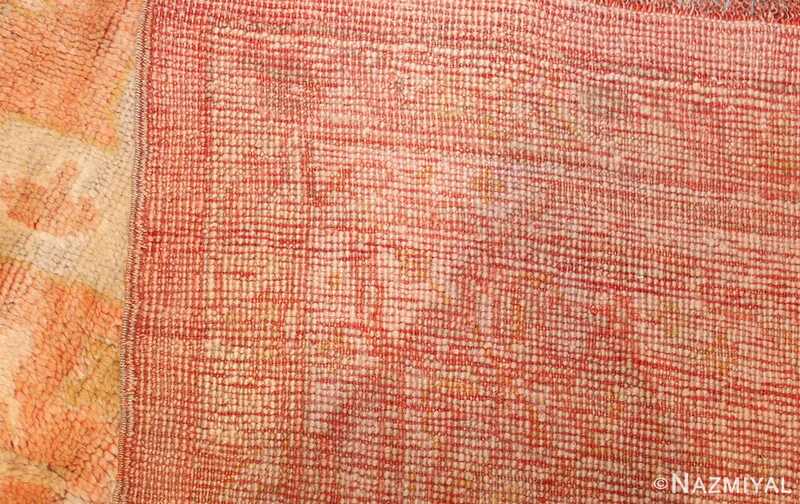 The area is enclosed by a light green band, which is decorated with a white line that shifts in a rectangular fashion up and around this Oushak rug. 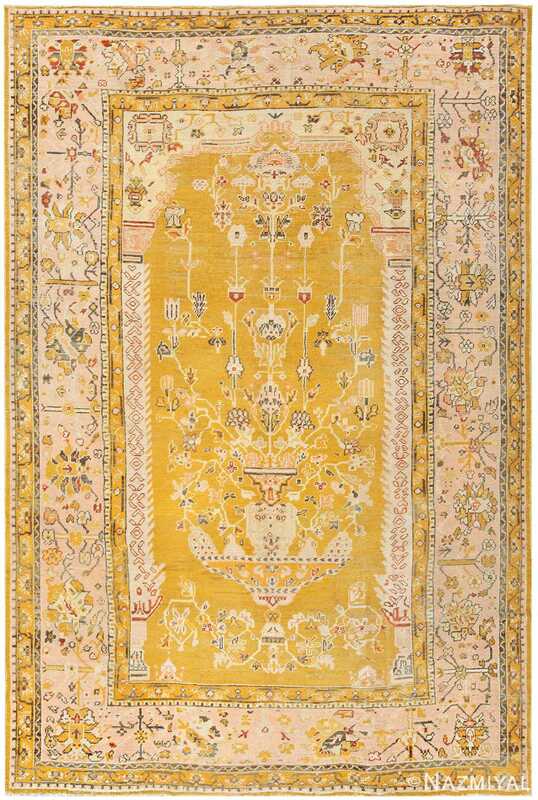 A wide border backed with white is filled with a pattern that creates a balancing counterpoint, its flowers and leaves twining across an orange vine.